I think what first attracted me to this pattern was seeing it modeled in this post at BurdaStyle. 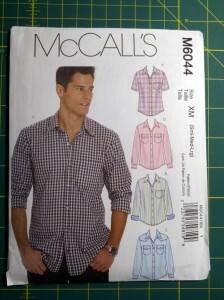 Both the styling and the fabric choice looked great on the “boyfriend” who was fortunate to get the finished shirt! I even purchased some blue plaid shirting fabric that’s somewhat similar to what’s exhibited there. 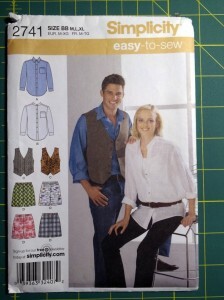 Simplicity 2741 is one of these “grab bag” patterns with several types of garments: in this case, boxers, vests and shirts. 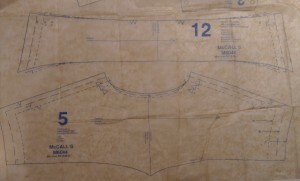 I originally bought this pattern to do the boxer shorts as part of the MPB Boxers Sew-Along, and they came out nicely, if a maybe a tad too big. Originally, when I bought the pattern I also thought I’d try out the vest and shirt, and I even went so far as to trace the shirt pattern. 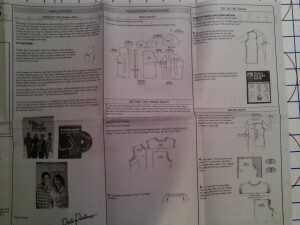 But I’ve decided I’m probably not going to try the shirt pattern any time soon. First off, the fit is big and boxy. 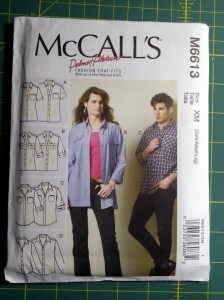 I’ve done a couple of Simplicity patterns at this point: 2015 for a sweatshirt and 2328 for pajamas. Every time they come out oversized. 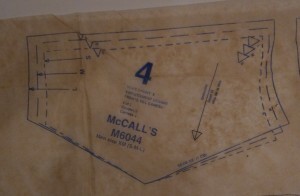 Just look at the model on the pattern envelope; the poor guy looks like he’s wearing a tent or a potato sack. At this point, I’m not afraid to take on the pattern alterations, but I’m not sure I want to bother when even the basic shape isn’t very flattering.